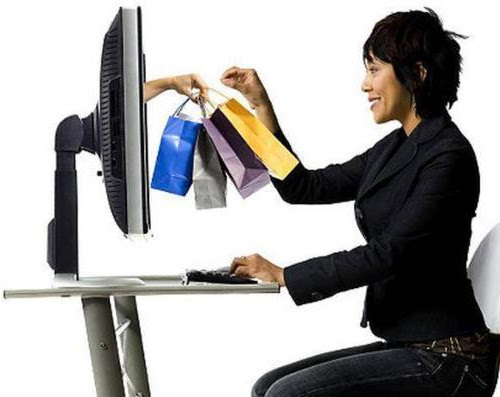 What does Himalayan Orchard Pure and fashion have in common? 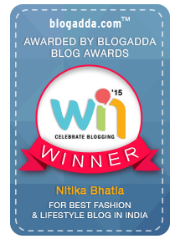 - Masaba Gupta | The Shopaholic Diaries - Indian Fashion, Shopping and Lifestyle Blog ! So I recently got the chance to attend the launch of Himalayan Orchard Pure at the Claridges in New Delhi. 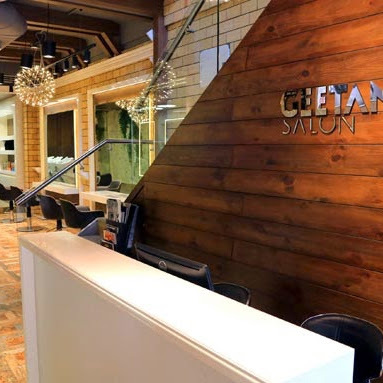 Here’s a lowdown! 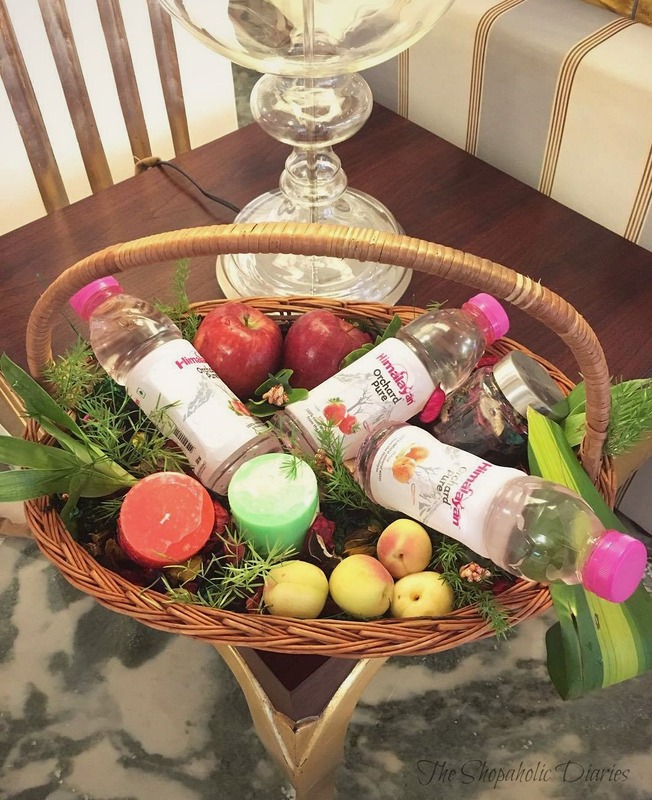 Himalayan has launched a new range of flavored mineral water called Orchard Pure. The water comes in 3 amazing flavors - Apple, Peach and Strawberry. The event was spectacular to say the least. The hall at the Claridges was decorated to resemble a real flower and fruit orchard in the Himalayas. It was so colorful! The highlight of the event was the presence of fashion designer Masaba Gupta, who launched the new range of flavored water with elan. Now, what has got me excited is that Masaba is creating an entire fashion line inspired by Himalayan Orchard Pure, which will be officially launched at the upcoming winter Lakme India Fashion Week! Isn't that exciting? A collection of outfits inspired from the goodness of nature? 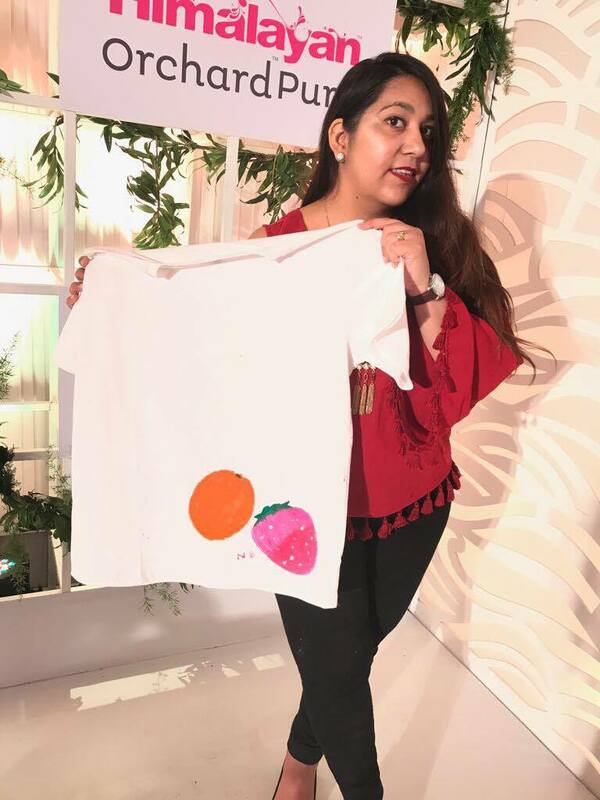 She revealed that she was inspired by the colorful and fruity flavors of Orchard Pure and hopes to bring out the beauty of a real orchard in her fashion collection. How was the water you ask? It was simply amazing! The taste is refreshing and the flavor hit the spot everytime. And the best part? The water is bottled straight at the source in the Himalayas and is infused with natural mountain minerals. The flavors are 100% natural so there are no preservatives! In my opinion, this is the perfect drink to chill with after a hot day at work! And don’t worry about the calories! Himalayan Orchard Pure’s calorie count is less than 1/3rd of what is found in carbonated drinks and packaged fruit juices! So it's a win-win! 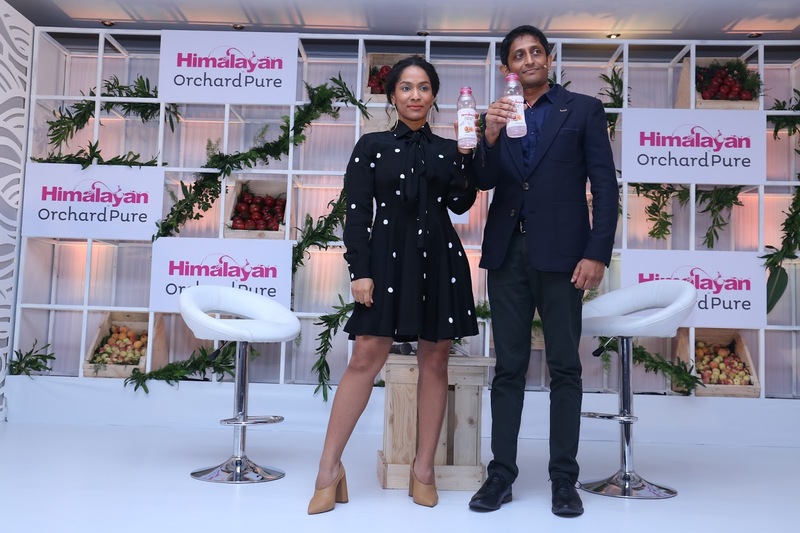 Himalayan Orchard Pure is retailing across leading stories and e-commerce platforms for INR 55 per bottle only and is right now only available in Delhi NCR, Mumbai and Bengaluru. Have you tried the Himalayan Orchard Pure already? If yes, do let me know in Comments below which one is your favorite flavor (mine is Peach)? Himalayan is the only natural mineral water in India to be awarded with the international certification by Germany. It's natural mineral water with 100% natural flavours and it's obvious that you had one fantastic experience while having the taste of this liquid.